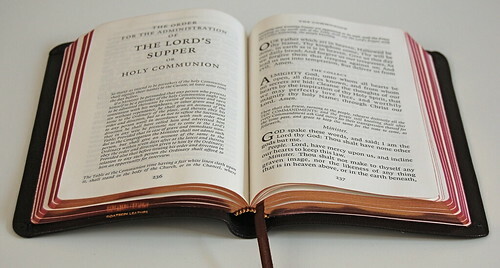 Since the Book of Common Prayer has come up before, I thought I'd share a couple of photos featuring the enlarged edition of Cambridge's 1662 BCP, bound in brown goatskin with art-gilt edges. Aside from the blurred imprinting -- a common complaint these days -- it's beautiful. 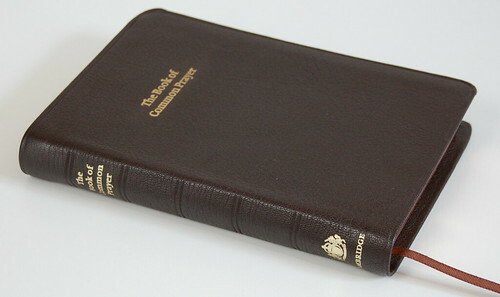 I wish they offered a Bible in the same brown goatskin. The page size is roughly 4.5 x 7, but the semi-yapp edges increase the footprint to about 5 x 7.5. 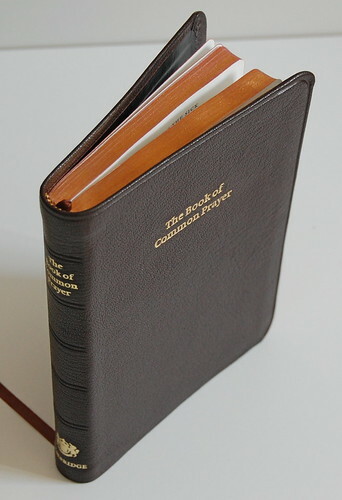 Compared to the handier 3.75 x 6 edition in black calfskin, the print is quite large.